Angela Turnier has been teaching for 10 years in public school, all in Talented and Gifted programs. She began a community coop for nursery school children. Angela is also a consultant to Scholastic, teaching Summer Balanced Literacy Program to SURR school teachers. 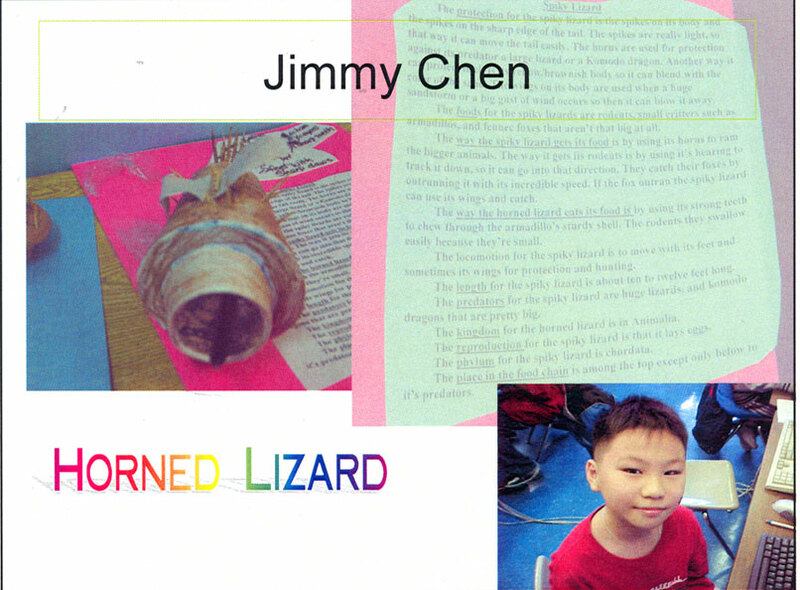 Like the author, I found my class fascinated with animals. My purpose, however, was not nonfiction writing, but science. It was to learn how animal characteristics enable animals to adapt to their environment to help them survive. Through research students could combine compatible different animals giving them unique adaptations to show how new animals may better survive our own fictitious desert environment. 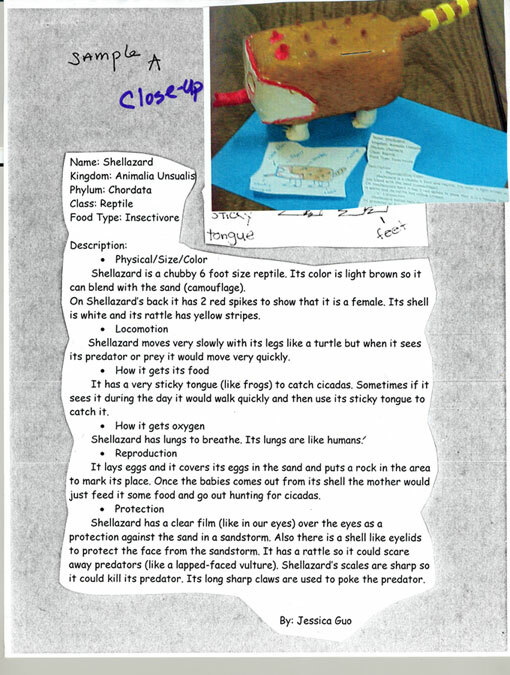 Our final project was a 3-dimensional animal along with a scientific description of that specific animal's adaptations with diagram and the purpose of that adaptation. Adaptations are necessary in our changing world. Without them, animals will become extinct. Technology was used to complete research, author text, and complete diagrams. 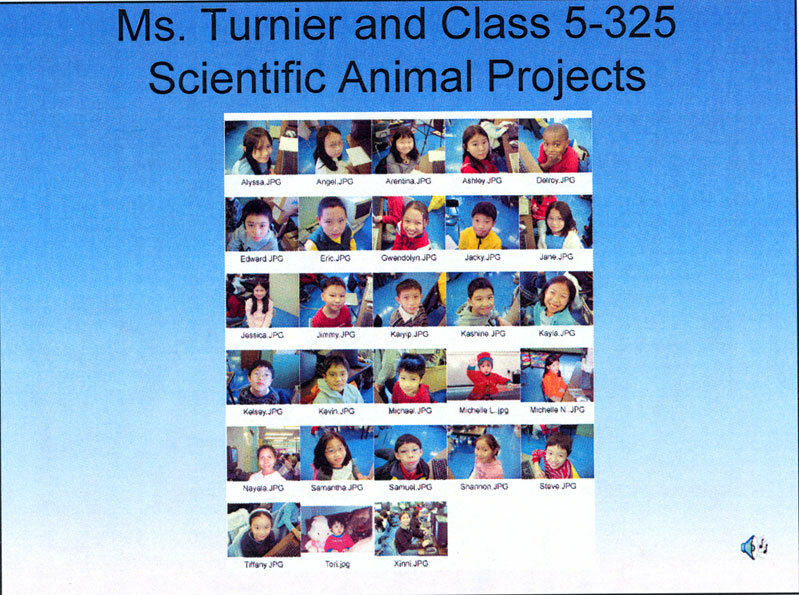 Presentations were given to class by animal inventors to measure feasibility of adaptations for survival. Students were also assessed via class discussions. A child-generated rubric was used to determine whether tasks were successful. The results of this project can then be put into field guide for our imaginary island with photos and animal writings. It could be expanded with a map giving island possible latitude and longitude. Science now becomes the basis of science fiction in which facts are the cornerstone of our book. This lesson can be differentiated according to the different abilities of children. It could be done as a group project. A food chain can be made using these imaginary animals (more research is needed for this part).